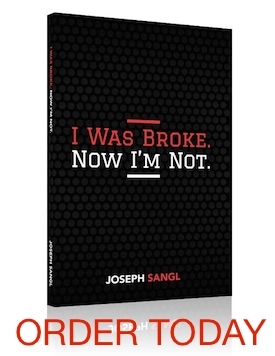 This is the latest series on www.JosephSangl.com – "Are you STUCK?" If you feel stuck financially, this can help you! In part one, I asked WHY are you stuck? Part two is Plan what you have! Part Three: Remember the priorities! When you have an extremely limited amount of funds, it is important to remember the priorities. I have met a lot of people who have been tricked, guilted, and shamed by credit card companies into paying the credit card bill instead of the house payment. You have completed step two and planned what you do have, so now the next step is figuring out who gets paid and who does not. Essentials: House payment (or rent), basic utilities, car payment, gasoline, and food. Does NOT include cable, internet, phone, restaurants, fashion clothes, etc. Secured Debt: If money remains after covering the essentials, then it is time to pay for the secured debts. If secured debts are not paid, the creditor has the right to come take the item. They will usually sell it at wholesale and come after the rest from guess who? So I would pay the secured debt next. Unsecured Debt: They cannot immediately come take something so they can be paid later if the money runs out. Fun: This is last on the list. Besides I can have fun for free. Pickup basketball games, watching old movies, etc. Who is the manager of YOUR money? It should be YOU! Not your creditors! YOU choose where it goes. Even if you don't have enough money to pay all of the bills, go ahead and put all of the bills into your spending plan. This is a KEY step! You need to clearly understand how large the gap is between your INCOME and your OUTGO. I call this gap the "GO GET THIS" gap. That is the next part of the series!